Robert Brewer Young stands among the world’s most active and respected violinmakers. Trained as a luthier in the artist’s studios of Carnegie Hall in New York, Robert has cared for scores of instruments by Stradivari, Guarneri and other classical Italian masters. He is now devoted exclusively to making signature instruments in the spirit of these Cremonese visionaries. Robert’s cellos, violins and violas are played by soloists and in orchestras around the world. His clientele includes members of The Stockholm, Los Angeles and New York Philharmonics, the San Francisco, Seattle and Shanghai Symphonies, The Kirov and Paris Opera Orchestras, Harvard University, and The Metropolitan Museum of Art. 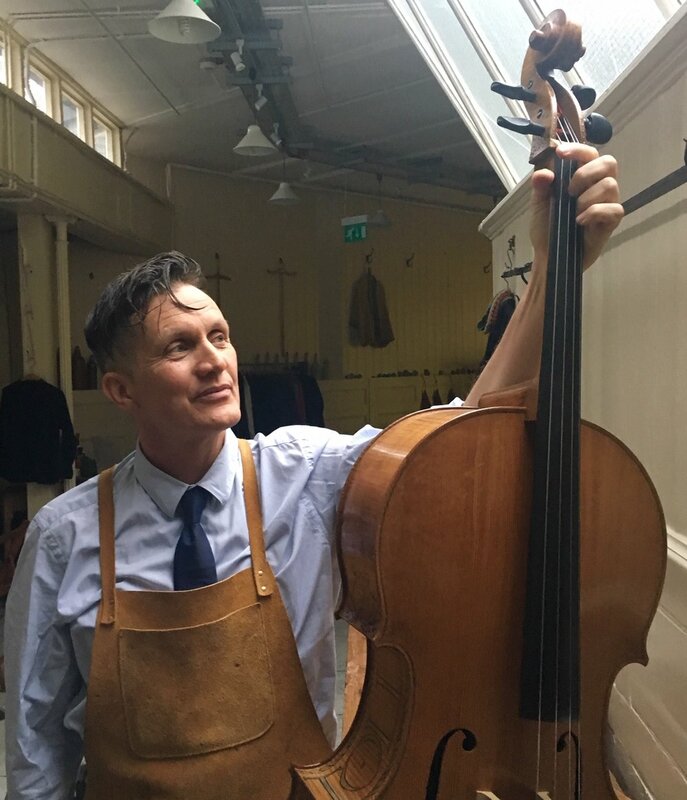 Alongside violinmaker Stefan-Peter Greiner, Robert heads the W. E. Hill & Sons workshop in London as one of the recently appointed directors of the historic firm, now located in the former coach house and stables of the Burgh House from 1704, in the heart of historic Hampstead. As a cello maker, Robert Brewer Young is represented by J & A Beare in London, for whom he makes a limited number of instruments each year. Before focusing on violinmaking, Robert studied Photography at the San Francisco Art Institute and restored antiquarian books in Paris and New York. He uses these skills in his role as designated researcher and restorer of the Hill Archive. He is currently completing doctoral work in mathematics and logic and is on the faculty of the European Graduate School in Switzerland as a lecturer in philosophy. I am very fortunate to play on a beautiful viola made by Robert Brewer Young. It is powerful, complex, a really great instrument for solo and chamber work, easily capable of projecting while still being able to blend beautifully. Robert Brewer Young is one of the finest contemporary violin makers working today, When I asked him to make me a copy of the David/Heifetz del Gesu I didn’t think it would be possible to recreate the magical sound of that legendary violin. The results of his hard work were stunning. I was fortunate enough to have heard the Heifetz del Gesu close up while a student of the great master at USC in the 1960’s. I had its unique tone deeply imbedded in my memory. Robert Young was able to create a violin that comes amazingly close to the unique Guarneri-like warmth, quick articulation, and projection of the original. I use Mr. Young’s violin in performance quite often and alternate frequently between my beloved Andrea Guarneri of 1657 and the David/Heifetz copy. I applaud this talented violin maker. The cello I own made by Robert Young has surpassed all my expectations. It is a fantastic cello both acoustically and aesthetically. It continues to evolve each year with a greater palette of sounds to explore while the varnish seems to have become even more golden and luminous with a bit of age. I look forward to growing with this world class instrument in the years to come. 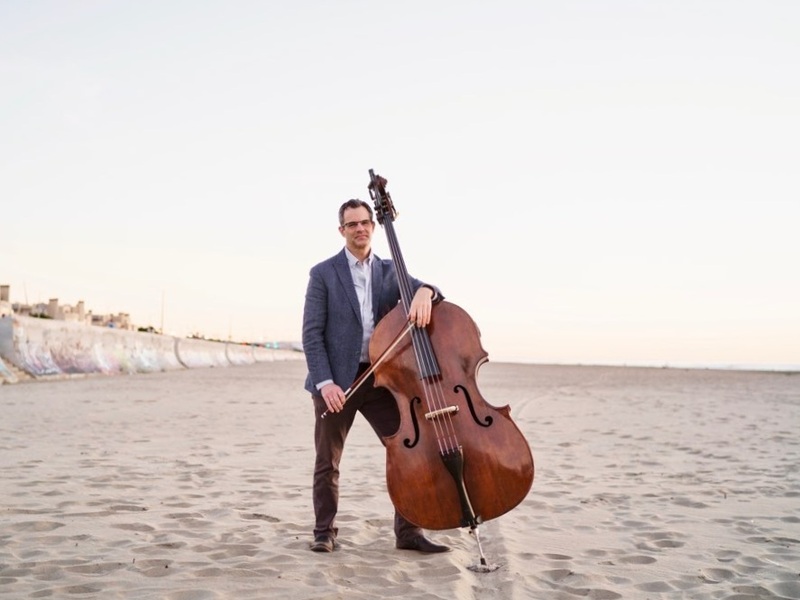 I have had the opportunity to play this cello as a concerto soloist and recitalist in many of San Francisco’s largest concert halls. Robert’s cellos have the power to soar over both the roar of an orchestra and concert grand pianos. The consistency of his work is astounding, as is his never ending search for ways to improve his exemplary work. I performed on Mr. Young's bench copy of my Peter Guarneri of Venice in New York's Lincoln Center. His cello has captured the soaring tones and the spirit of the original instrument. I love my Robert Brewer Young Amati-inspired viola and find myself using it more and more instead of the great Storioni viola I have had for years. It has a warm and rich sound yet feels light and very responsive in my hands. There is a satisfying elasticity of resistance in the strings that inspires exploration of tone colour and shape and makes the instrument an inspiring artistic partner. Robert Brewer Young’s double bass is an exquisite work of art that coalesces the genius of the classical masters with modern standards of playability and the finest materials. The sublime quality of his craft, from the majestic form, to the deeply radiant varnish, to the stories woven into his tasteful antiquing, is among the very finest I have seen. His Amati-inspired double bass has a lightning fast response, immense power and projection, and a complexity of tone that blesses the players with an extensive and highly flexible array of timbral possibilities. I am fortunate to have played on many of the very finest basses in the world, and Robert’s work is certainly among them. I am extremely pleased with my new cello made by Robert. The instrument never lets me down. Gorgeous sound on every note - first time, every time! It was so satisfying that I was inspired to commission a baroque cello as well and have had the very same experience. So now I have two beautiful, modern cellos which sound like old master instruments and will continue to do so beyond my lifetime. After making instruments for many years in the south of France, Robert’s primary workshop is now based in London, Hampstead – an area traditionally associated with the many intellectual, artistic, musical and literary personalities who have lived there. Hampstead combines the charm of a small village with proximity to Central London, and is defined by openness and green space. Located in the former stables of the Burgh House from 1704, in the heart of the historic centre of Hampstead, Livingstone Studio is establishing itself as an energetic and eclectic creative hub in London. It is the home of internationally renowned violin makers Robert Brewer Young and Stefan-Peter Greiner and the seat of W. E. Hill & Sons. The studio houses instrument makers, bespoke textile designers and fine-art photographers including Jan Röhrmann. The heart of the studio, The Green Room, is a performance and rehearsal space and a natural light portrait studio. It is a unique meeting place for cross-disciplinary collaboration and artistic exchanges.